New screenshots for the upcoming #SpiderMan game for the #PS4 have arrive in glorious 4k.
" Starring one of the world’s most iconic Super Heroes, Marvel’s Spider-Man features the acrobatic abilities, improvisation and web-slinging that the wall-crawler is famous for, while also introducing elements never-before-seen in a Spider-Man game. 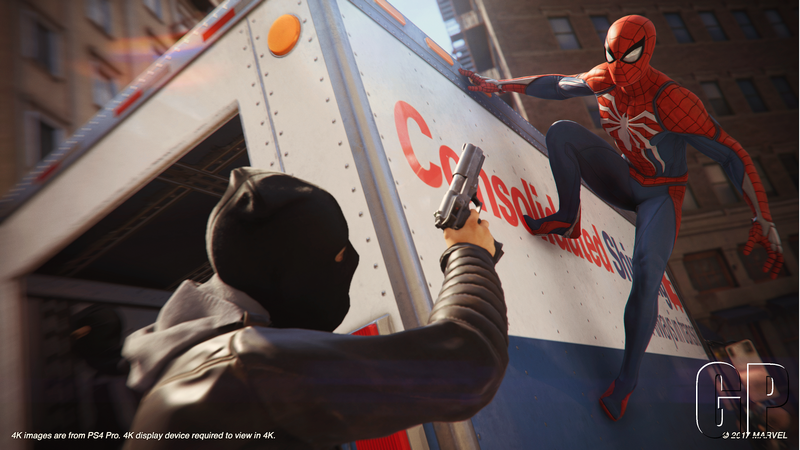 From traversing with parkour and unique environmental interactions, to new combat and blockbuster action, it’s Spider-Man unlike any you’ve played before. The more i read and hear about this upcoming web-slinger game the more I hope the game isn't going the fail. Insomniac Games is a capable developer so my fingers are crossed that this is going to be as epic as it looks.